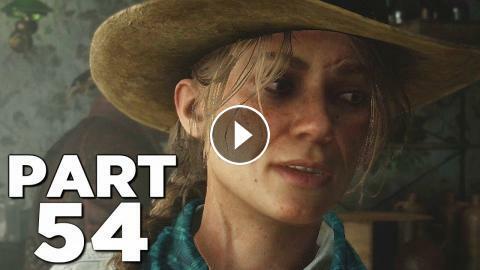 Red Dead Redemption 2 (RDR2) Gameplay Walkthrough Part 54 for PS4 Pro and Xbox One X includes a Review, Chapter 6 and Mission 4 of the Red Dead Redemption 2 Story Campaign. My 2018 Red Dead Redemption 2 Gameplay Walkthrough will feature the Full Game Story Campaign. Thanks Rockstar Games for giving me the Full Game of Red Dead Redemption 2 on PS4 Pro. Characters in Red Dead Redemption 2 include John Marston, Arthur Morgan, Dutch van der Linde, Jack Marston, Abigail Marston, Bill Williamson and more. Red Dead Redemption 2 also has Story Missions, Story Chapters, Cinematics, Cut Scenes, Strangers, Gang Hideouts, Chance Encounters, Legendary Animals, Fish, Horses, Weapons, Equipment, Cards, Poker, Dominoes and more! I'll play the Full Game of Red Dead Redemption 2 until the Single Player Campaign Ending.